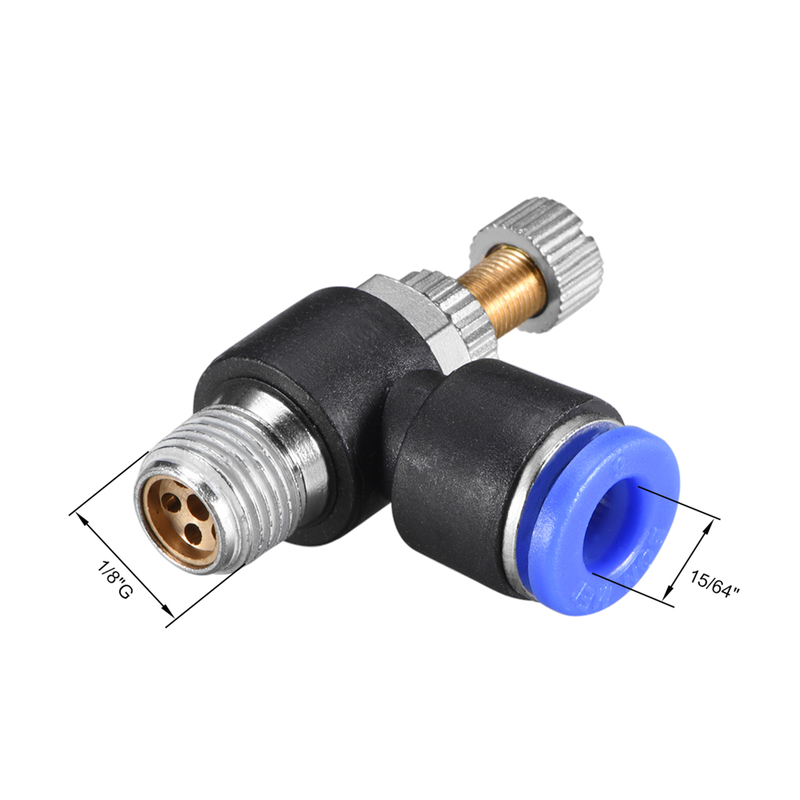 1.Push in fittings, flow speed controller, used in pneumatic piping's Series pneumatic inline air flow speed control valve push in fitting equipped,connect with polyethylene, nylon and PU tubing. 3.A good release cap can withstand greater and stronger pressure without tripping. 4.Have flexibility, abrasion resistance, light weight, and resistance to crushing and cracking,Compressive and corrosion resistant, good sealing performance and long service life. 5.Quick and simple installation,with a convenient one touch release button that provides a easy and quick tubing connections with no special tools required. 2.When inserting the pipe into the joint, it must be inserted into the end, otherwise there may be a leak. 3.After plugging in, try to pull the tube, if you can't pull it out, it means it has been connected. 4.When loosening the tube, first confirm that there is no pressure in the tube, and then evenly press the end cap to the bottom.